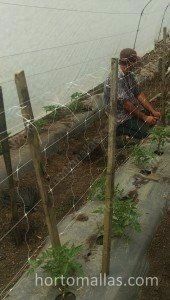 In the tomato crop it is recommended trellis net double row , so the plant is better support in its branches. 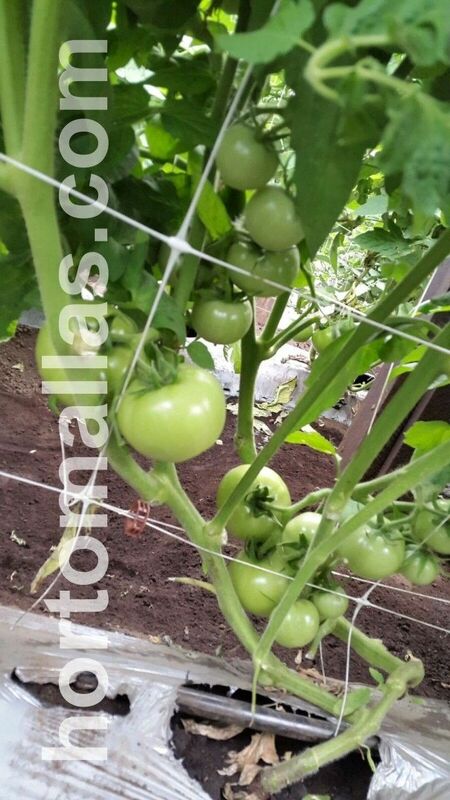 Using HORTOMALLAS tomato netting increases productivity of your crop. As opposed to to raffia trellising, HORTOMALLAS requires less labor in installing the netting and once in place wll make field operations more efficient, as tyeing and fastening the tomato plant to the raffia tutors being an operation that will no longer be needed. Handling plants guidance and tutoring affects their productivity as the mechanically caused stress due to hand contact and the re-orientation of the leaves it causes will oblige the plant to stop sending nutrients to the fruits in order to re-accommodate again its leaves towards the sun. 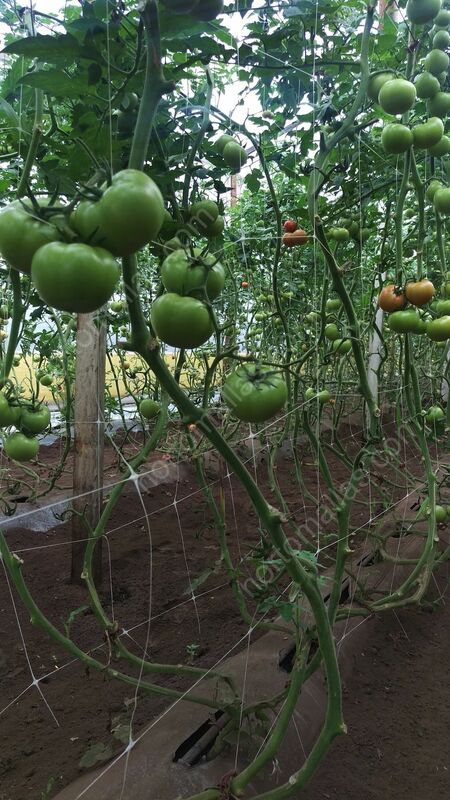 Also using a double walled tomato netting system will reduce the amount of labor needed to train tomatoes, as it is better to avoid so much contact with the hands of the workers because these can vectors for diseases like bacteria, viruses or fungi transmitted from plant to plant. The hands of the works really do act as a vector for diseases, so when tutoring and training tomato plants with raffia, the workers will have to handle each plant. If only one plant is affected by a pathogen, then as the worker will move down the row he(she will spread the disease like any white fly or thrips. 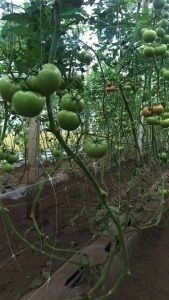 Furthermore the continuous handling of plants causes mechanical stress, and this results in lower yields, because instead of concentrating its nutrients and energies to add weight and fill the tomatoes, the plant will strive to re-orient its leaves towards the sun to maximize its photosynthesis. 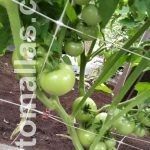 Overall tomato netting is advisable as it increases air circulation among the leaves, decreases micoidal attacks, and improves solar exposure, all of this will decrease the dependence on chemicals, therefore allowing to reach organic crop status.